Adapted by Tim Firth from his smash hit Miramax film of the same name, Calendar Girls is based on an inspiring true story that is both poignant and hilarious. A group of extraordinary women, members of a very ordinary Yorkshire Women's Institute, spark a global phenomenon by persuading one another to pose au natural for a charity calendar with a difference! As interest snowballs, the Calendar Girls find themselves revealing more than they'd ever planned. 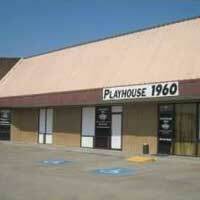 Catch this heartfelt comedy at Playhouse 1960 in Houston.